Now Deb will tell you that she has been misquoted to the point of complete fabrication. “I just didn’t say that!” she laments, “After all, who on earth gets excited about sea walls? I sound really boring!”. Now Deb is lovely; she is kind and compassionate. She is a wonderful mother and wife. But to be fair she does go on about sea walls a bit. Our friends (those who are left) are patient stalwarts, and put up with her enthusiastic but incessant monotony, although they do appear nervous whenever they are around her, and they generally do not remove their coats when they come to visit. Those who have seen Richard Dreyfuss building the Devils Tower in Close Encounters of the Third Kind will understand why we do not eat mashed potato in our house. Getting home-made sea walls out of the carpet can be a very time consuming business. So it was with a certain relief that today’s walk featured very few sea walls. The walk started in the village of Stoke, where the first mile was a road walk though some incredibly beautiful farmland. A gyrocopter from the local airfield buzzed overhead. The sun and cloud were out in equal measures and the going easy. The road turned west and headed into North Street, another picturesque village, sparsely filled with cottages and converted farm buildings. We took a bridleway heading south through the fields. 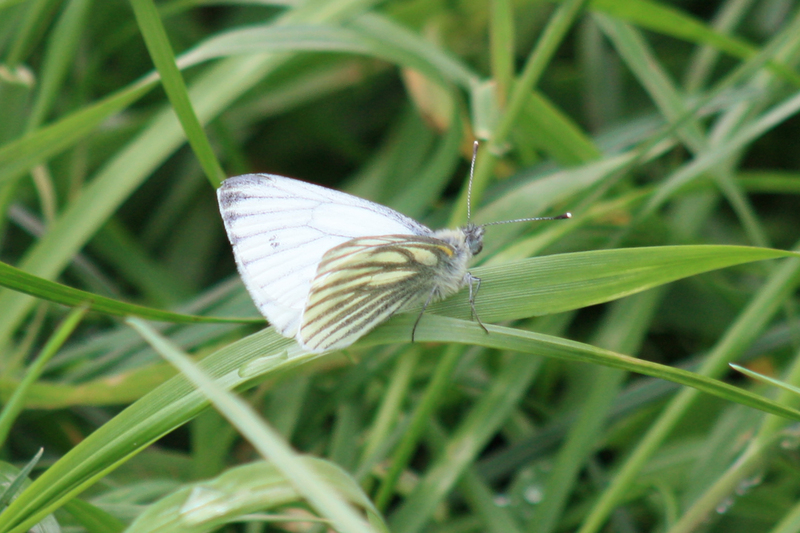 Birds shot out of the hedgerows as we approached and butterflies flitted through the grass. We reached a level-crossing, after which the landscape changed abruptly to an industrial estate, dominated by the Kingsnorth Power Station. 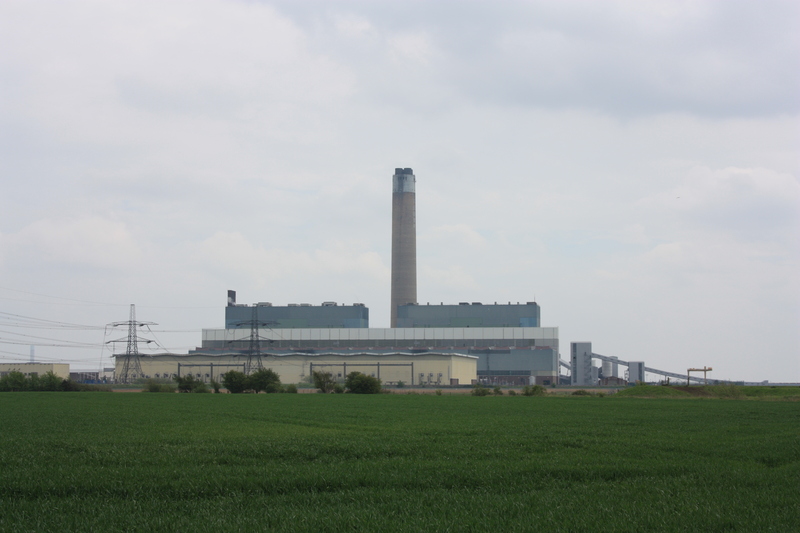 A smaller and less attractive sibling to Grain Power Station, Kingsnorth is a dual coal and oil-fired plant, although it can also use biofuel by up to 10% of its total fuel source. Like many other existing power stations, it is due for closure by 2016 under European Union regulations. Replacement with a new coal-fired station had been planned, but following criticism from many groups, and being the focus of a Camp for Climate Action in 2008, these plans are now on hold. 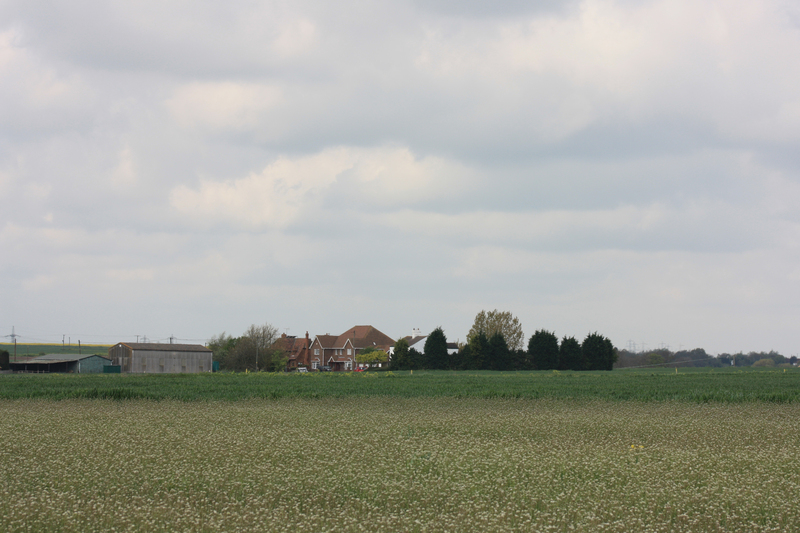 Our route bypassed the power station, taking us instead into more fields. 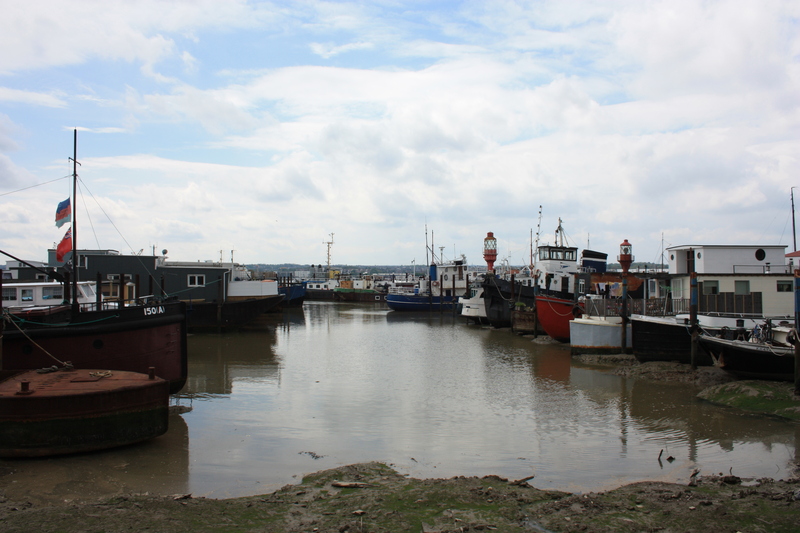 We eventually turned south and hit the northern bank of the River Medway, where, having left it behind in Gravesend, we finally rejoined the Saxon Shore Way. From this point, we could see across the river to the Darnet and Hoo Forts. Both were built as a result of the Royal Commission in 1859, which was formed due to the increasing threat of a Napoleonic invasion. Both forts were built at the same time, and are essentially identical. 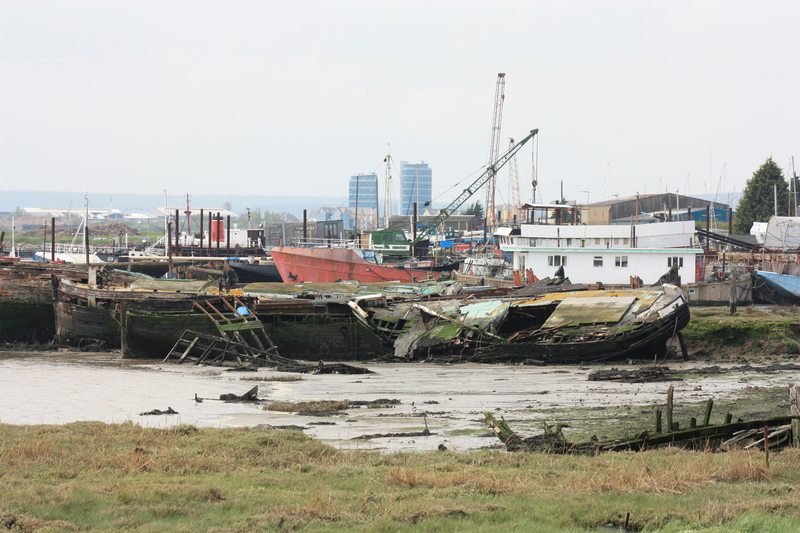 Both also suffered from structural problems due to the instability of the ground they are built on; both are island forts, built on the saltings of the Medway. Darnet Fort was flooded in 1862 after the failure of a dam, and both forts had cracking and water seepage problems. Neither Fort was used in anger, although they remained manned up to and including World War II, when they were used as mine observation posts. Both have now been sold. Although they are Scheduled Monuments, both have suffered from vandalism. Darnet Fort has been deliberately flooded in order to prevent further damage. As we walked on, we came to a sea wall; my wife became quite excited. The path wound its way round towards Hoo Marina Park. At its eastern end the marina is more of a graveyard than anything else. Hulks in various states of decay lie scattered around. Some are seemingly left for the river to slowly reclaim them. Others seemed to be in the process of being broken up or cannibalised for other vessels. As we entered the Marina, the pathway became ill-defined. It was sandwiched between the fence of the Marina itself and the walls or fences of the industrial buildings behind. 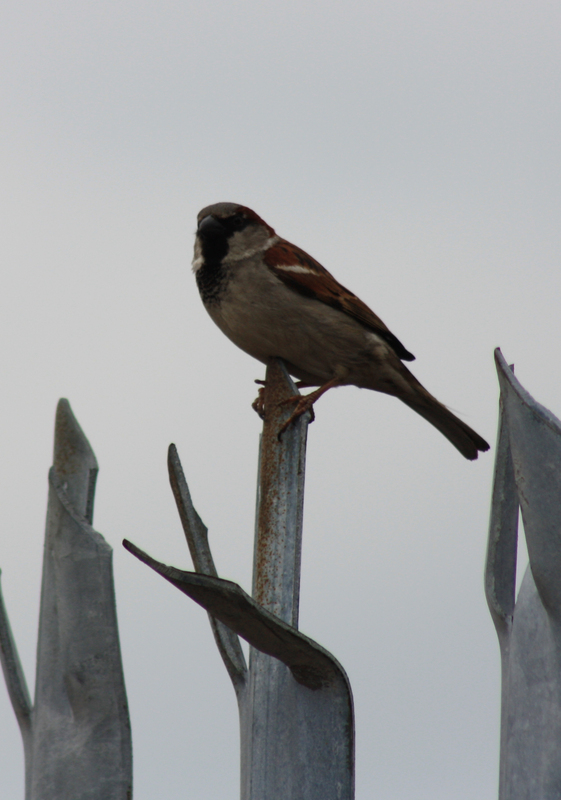 Even the birds had little to perch on save for security fences. Within the grounds of the Marina, boats on trailers stood uncomfortably out of water as they awaited their maintenance and return to the river. However, as we made our way west the graveyard and maintenance yards gradually gave way to slipways, pontoons and jetties. These gave life to the area by being home to fully functioning boats. Many seemed to be houseboats, although there were watergoing vessels of all shapes and sizes, including a katamaran and lightships. Beyond the Marina we reached a stretch of shingle. Here, the high tide can flow right across the shingle so that there is no access along the shore at such times. Today, we reached the shingle about an hour before the tide was at its highest, but even then the waters did not invade and we were able to carry on, enjoying views to St Mary’s Island on the other side of the river. 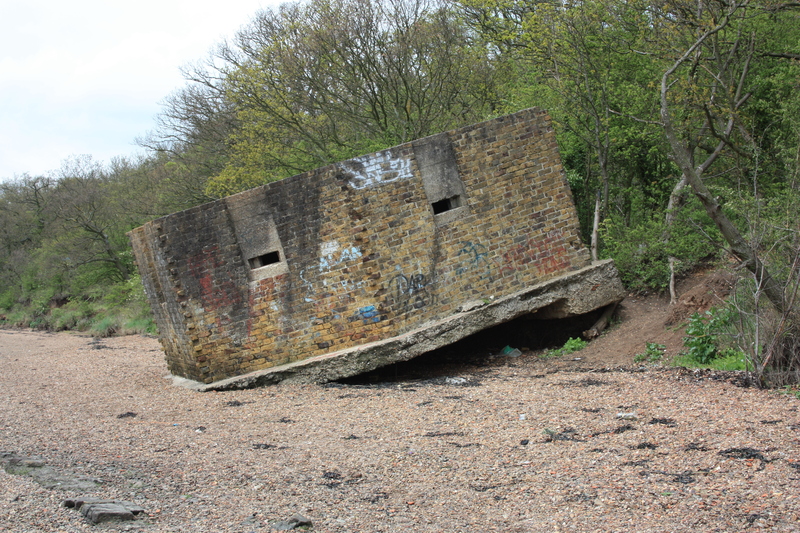 Once on the shingle, we immediately came across the beautiful ruin of Cockham Wood Fort. This was constructed in 1669-70, in the aftermath of the Dutch assault on the Medway in 1667, during the Anglo-Dutch Wars (see below). 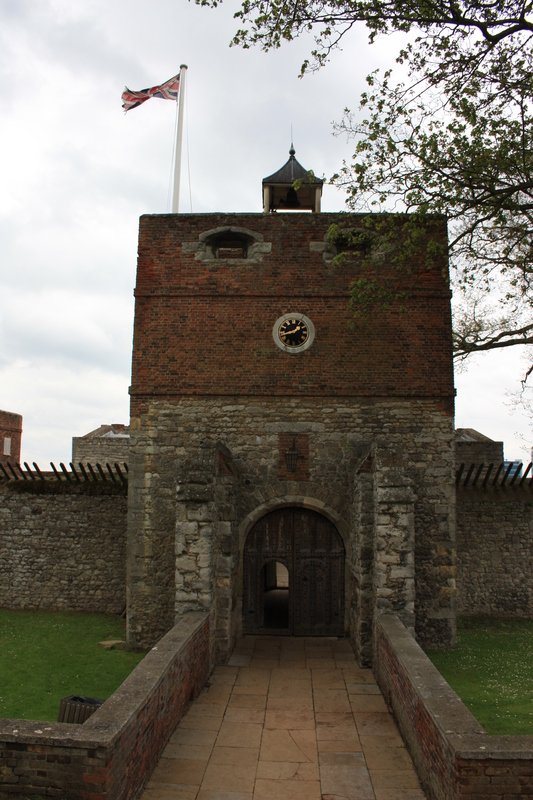 The fort never saw action; the strength of the Royal Navy was such that no enemy vessel ever sailed up the River Medway after the Dutch invasion. 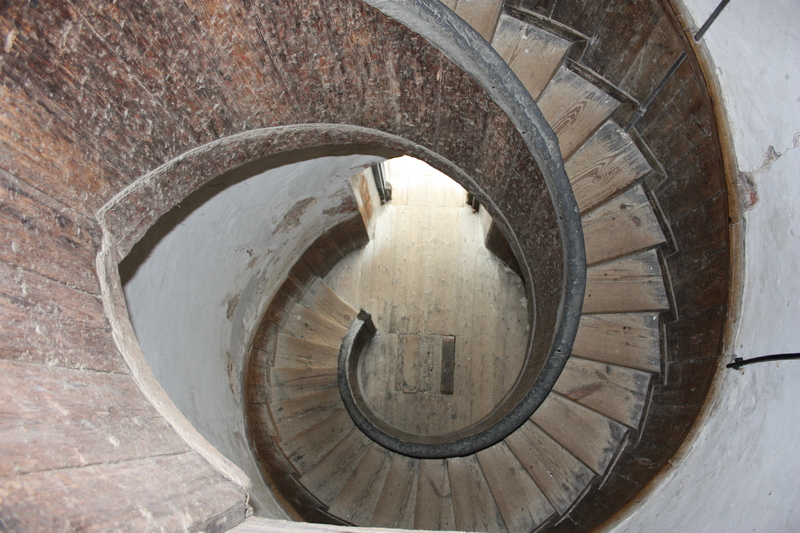 Although it was manned and maintained well into the 18th Century, it eventually fell into disrepair. For the time being, the building stands while it still can, as its soft red bricks erode away. There are other remnants of past threats along this stretch of shoreline. Further down we found a pillbox listing uselessly to one side. After just under a mile the shingle beach came to an end and we reached the village of Lower Upnor. Almost immediately we were bombarded with maritime history. The figurehead of HMS Arethusa stood half hidden under a protective sheet, its lower half hinting at what might lay above. The Arethusa was the last British Naval ship to go into battle under sail, in 1854 during the Crimean War. 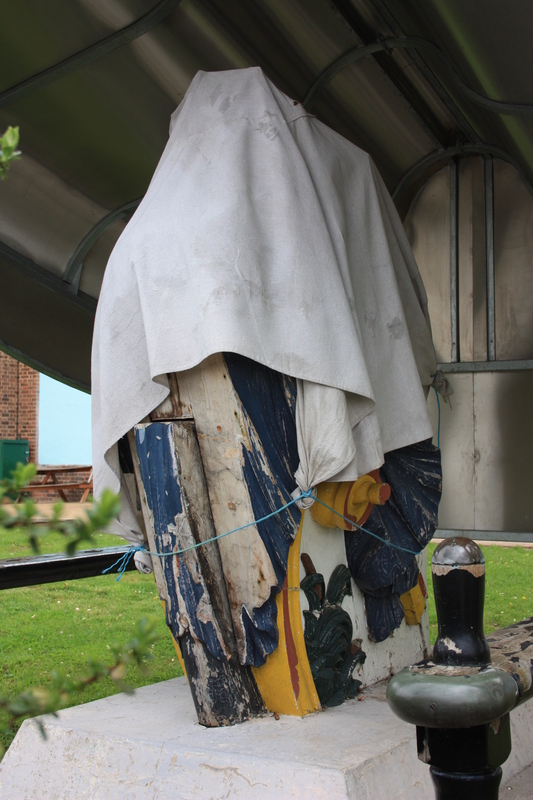 A notice said that restoration work would be taking place during 2011 so that the figurehead could be publicly shown. Clearly, when we walked by that restoration was still awaited. Standing close by to the figurehead we found two London Stones, monuments marking the eastern boundary of the jurisdiction of the Port of London Authority. 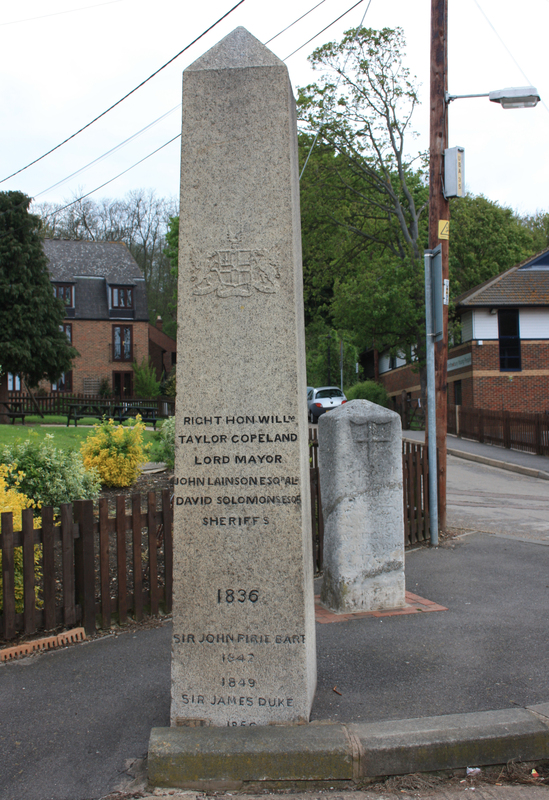 The more modern stone is much like the Crowstone we saw at Chalkwell and the London Stone at Yantlet Creek, with the names of various mayors inscribed. However, just behind it stands the original Upnor London Stone, a weather-worn monument dated 1204 and bearing the inscription “God preserve the City of London”. The Saxon Shore Way continues through the main road of Lower Upnor until the path cuts to the south, running up some steps and alongside a high and ancient wall, eventually coming out at the High Street of Upper Upnor (which is actually south of Lower Upnor; thus, in one respect, Upper Upnor is lower than Lower Upnor). 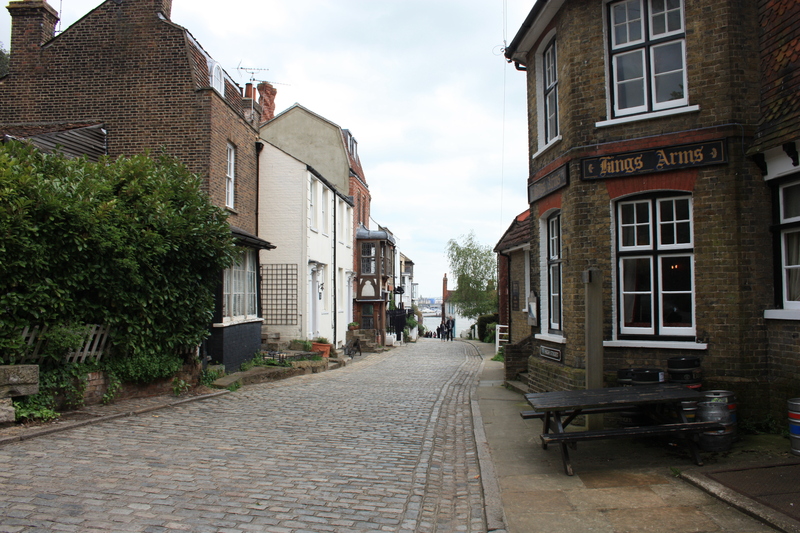 The High Street is a beautiful cobbled street, lined with some equally beautiful looking buildings, leading down to the western bank of the Medway, and to the entrance of Upnor Castle itself. 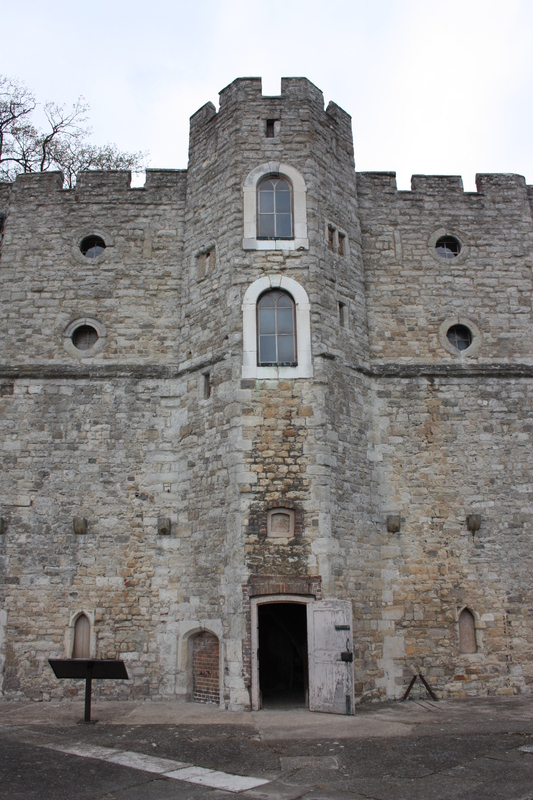 Upnor Castle is probably best known for its part in the Dutch invasion of June 1667, as the enemy fleet sailed up the Medway and attacked the English during the Anglo-Dutch Wars. Depending on which source you rely on, it either failed spectacularly or fought gallantly. Either way, it is the only English coastal fort to have ever fired a shot “in anger”. Built in 1559-67 by Elizabeth I, it was enlarged in 1599-1601, to include a palisade, an 18 foot deep ditch, and a gatehouse with drawbridge. However, by 1623 the Castle was in a dilapidated condition. At the outbreak of the Civil War in 1642, the castle was surrendered to Parliament who used it as a prison for Royalist officers. In 1648 there was a Royalist uprising in Kent and the castle was seized, however, was quickly retaken when the uprising was suppressed. By 1650 the castle had been repaired. It was some 100 years later when the castle saw action in the Anglo-Dutch wars. The Dutch Admiral Michiel de Ruyter caught the English off guard by unexpectedly leading a squadron of ships up the Thames. He had some successful skirmishes in the Thames up to Gravesend, and then turned his attention to the Medway. 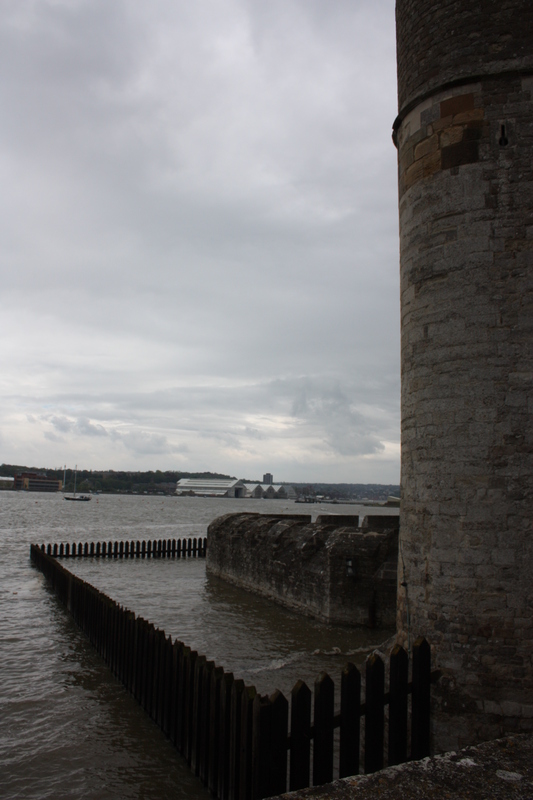 After attacking and burning a new fort at Sheerness, he headed up the Medway in order to attack Chatham and its docks. One of the primary English defences across the Medway was a chain between Hoo Ness and Gillingham, however, the invading Dutch either broke it or tore it loose, and sailed on. They attacked and captured the English flagship, the Royal Charles, and burnt others. When the tide turned they anchored for the night and prepared for the following day. During the night the English also prepared for the next day, bringing more artillery up into position and constructing a battery beside the castle. When the Dutch attacked, they took heavy artillery fire, although they still succeeded in burning further ships, including the Royal Oak, commanded by Captain Archibald Douglas. With his ship alight, Douglas was advised to retire. He refused, saying, “It shall never be told that a Douglas quitted his post without orders”. He went down with his ship. In July 1667 a Royal Warrant ordered the strengthening of the castle, however, in August a peace treaty was signed. The following year the Chatham defences were revised and Upnor’s defensive role was passed to more modern forts, such as Cockham Wood. 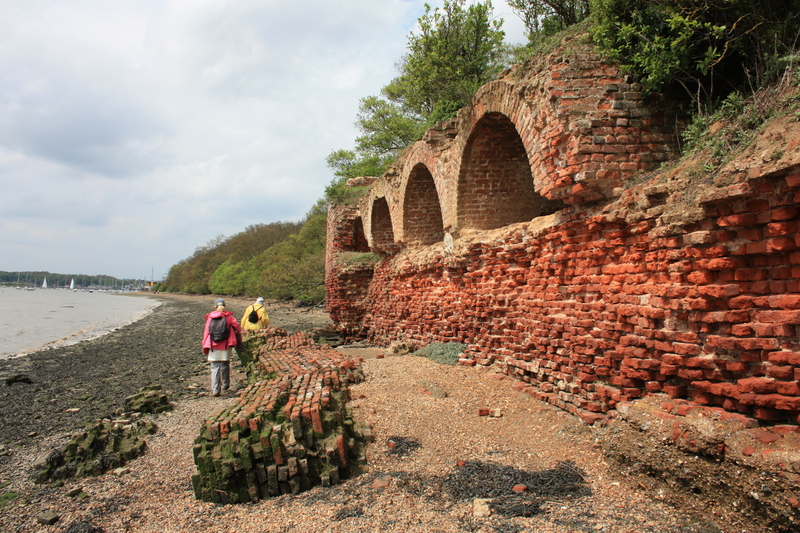 Upnor’s importance declined and it was used as a magazine until 1827, when it became an ordnance laboratory. By 1840 it held no gunpowder or other explosives, and in 1891 it was transferred from the War Office to the Admiralty. Gradually it came to be used more as a museum, and was finally designated such in 1945. 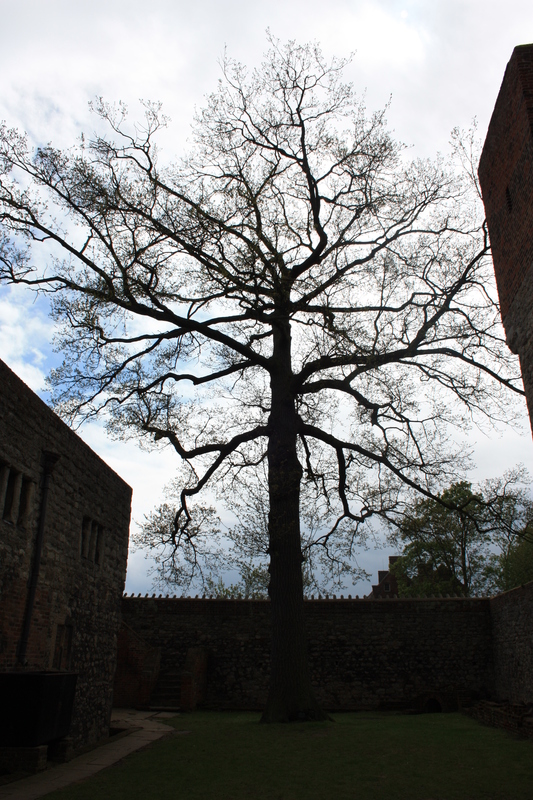 In the courtyard of the castle stand two turkey oak trees. It is said that these were grown from acorns, brought back from the Crimean War. 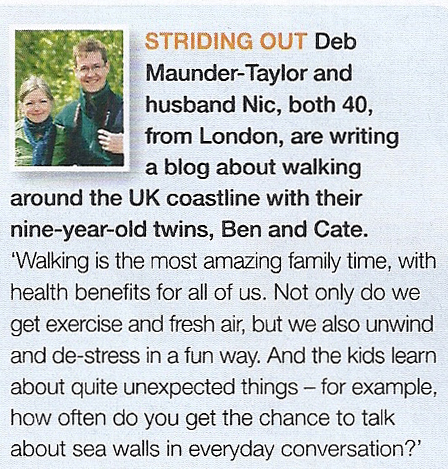 This entry was posted in Kent and tagged coast, Hoo, Hoo Peninsula, Kent, North Street, travel, Upnor, walking. Bookmark the permalink. I do think I must come out in support of Seawalls – how you can fail to appreciate the majesty and grandeur of these structures is beyond me! I am thinking of starting a blog in support of these perhaps entitled “Seawalls – The Minutiae and Detail Closely Examined and Discussed” – a really catchy title don’t you think!. On the other hand how about starting a seawall group, it could be like a book club, only instead of looking at new publications, we discuss a different seawall each week. What do you think? 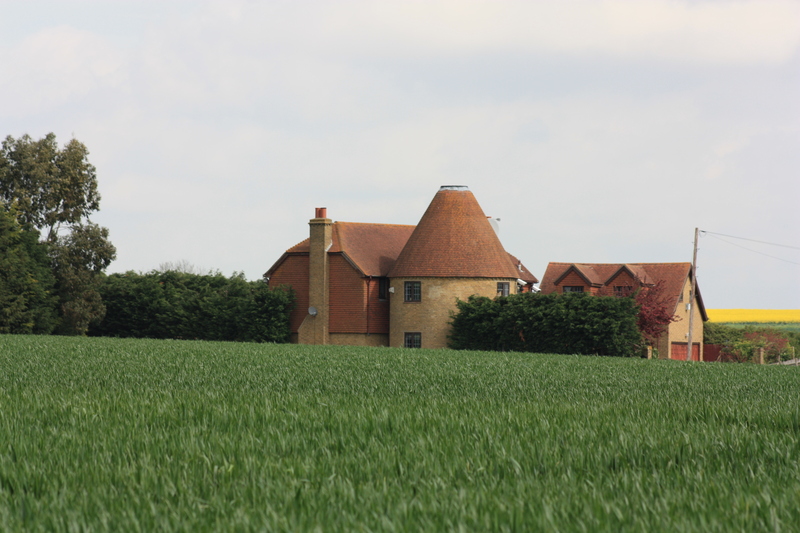 Great blog Nick, we managed a walk in Bedfordshire on Sunday; no sea walls but 4 miles of yellow fields with tea and scones at the end. BDJ&S. Who needs sea walls when you’ve got four miles of yellow fields with tea and scones at the end (except for Deb that is)? How cool is that – having your wife published?!! Is there access to the entire article online somewhere? I really loved this leg of your journey, with all the forts and castles… I wish we had those all over the place by us – they are so interesting!